Here is another stitch with roots in Greek Mythology. According to myth, Phyrigia was without a ruler, so it was decided that the first person to enter the town with an ox-cart would be their next king - randomness might have originated with the Ancient Greeks! Time passes and along comes Gordias with the requisite ox-cart and is proclaimed king. I can hear him telling his wife - "You'll never guess what happened to me today........" and of course his wife immediately checked his thermos...err goatskin to see what he had been drinking!! Well, Midas, Gordias' son decided to give thanks to the powers that be and offered the ox-cart as a gift to the gods, securing it to a post with a very intricate knot. This knot was undone by Alexander the Great. People who are able to solve complex problems, either by cheating (Alexander simply cut the rope) or by "thinking outside the box" (another version has Alexander removing the post, thereby undoing the knot) are often credited with solving the Gordian puzzle or "cutting the Gordian Knot." It's interesting but I would have given the name to a more complicated cable stitch - something worthy of Alexander the Great!! And here is my photo take on the stitch. 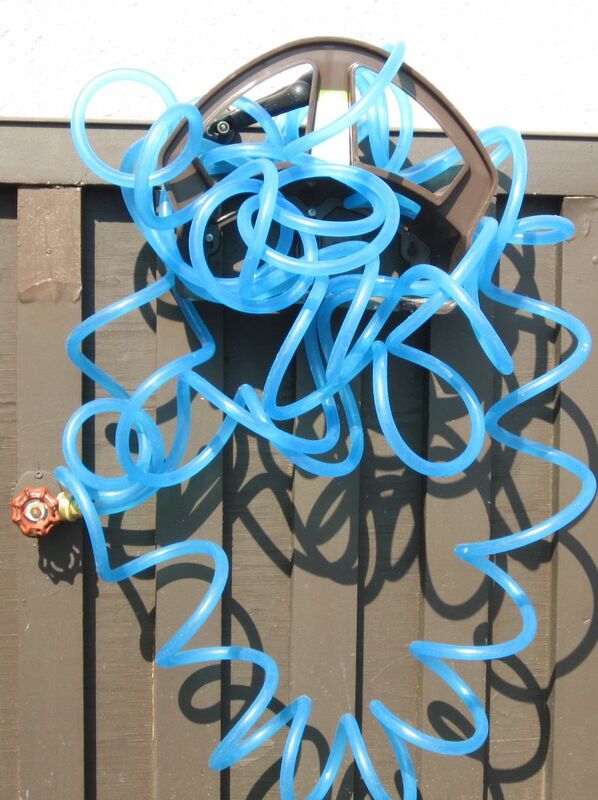 Anyone who has tried to wind a garden hose and secure it in place deserves a medal or an ox-cart, maybe.